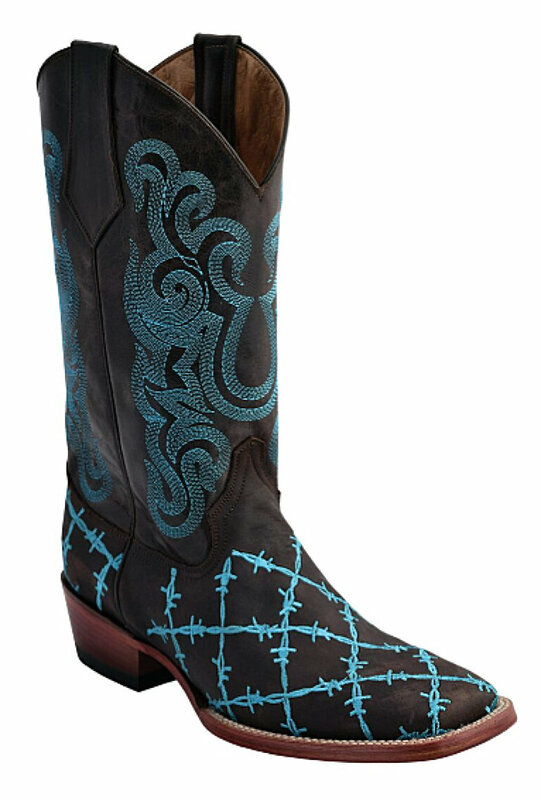 This quality leather black distressed boot with a barbed wire design on the foot is a one of a kind boot if you want to make a statement of character. This boot is distressed leather with a barbed wire design boot. Quality is a true sign of these stylish boots. The soft leather has a fine grain to give the boots a high quality look and feel and offset the barbed wire look. The shaft is black leather with fancy stitching. This boot is very durable and the high quality craftsmanship delivers a boot that can be worn for all occasions.